There was no stopping Doug Palazzari. You could hit him. You could slash him. You could knock him to the ice. And still he would keep coming. About the only thing more amazing than the punishment heaped upon Palazzari was his ability to withstand it. He was hockey’s version of the Terminator. Thick-chested and with tree trunks for legs, Palazzari was no pushover. The Eveleth high school scoring machine was a 5-foot-5 block of granite. Palazzari grew up in Eveleth, the son of former NHLer Aldo Palazzari. The high-level father-son hockey scenario was not uncommon in the Iron Range town during the 1960s and ’70s. 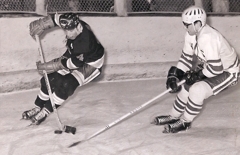 Many of Eveleth’s first wave of hockey greats from the 1930s and ’40s had returned home to raise their families. Hockey icons were as commonplace around town as street lights. 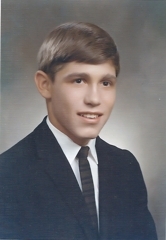 The talent-rich environment suited young Doug Palazzari. He said he long dreamed of joining the Sunday morning pickup games at the Hippodrome, a weekly event that welcomed players of all ages – with a caveat. “If you were good enough when you were young, the older guys would let you play with them,” Palazzari said. Palazzari never was simply “good-enough.” A talented athlete who also played football and baseball, Palazzari led Eveleth to a state youth hockey title as a Bantam. That same group of players was expected to repeat as state champions at the high school level. The Golden Bears were the state’s first dynasty program, winning five state championships from 1945-51 and making 13 state tournament appearances from 1945-60. The pressure was on to return Eveleth to its past glory. To reach the state tournament, however, Eveleth had to survive a gauntlet of Iron Range Conference powerhouses. Hibbing, Grand Rapids, International Falls, Greenway, Virginia – all of them were hockey factories that had the firepower to not only reach the state tournament but win it. 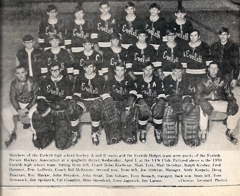 Palazzari was a junior in 1969 when Eveleth slipped past International Falls 1-0 in the Region 7 semifinals only to lose to Greenway 3-2 in the championship. The Golden Bears had one more shot at reaching the state tournament, gaining the “back door” berth by beating the Region 8 runner-up for the Region 3 title. 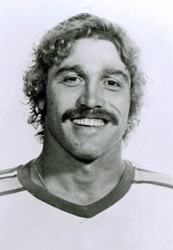 Doug Palazzari was the Central Hockey League's leading scorer during the 1977-78 and 1979-80 seasons. Eveleth lost 3-2 in two overtimes to Henry Boucha-led Warroad. The agony was repeated a year later when, with Palazzari as a senior being recruited by several top Division I college programs, Eveleth lost 7-5 in the region semifinals to Hibbing and standout center Mike Polich. “It is a dirty shame he didn’t get to go to the state tournament,” said Pete LoPresti, a former Eveleth goaltender who graduated two years after Palazzari. “He was the real deal. He was (Greenway legend) Mike Antonovich only stronger. It was a good thing he wasn’t six-feet tall because he would have been really scary. Missing out on the coveted state tournament experience is the only gap in Palazzari’s resume. 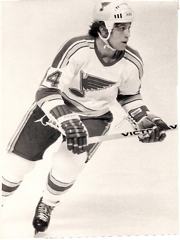 His career eventually took him to college stardom and to the NHL, where he played 108 regular season games for the St. Louis Blues from 1974-79. Palazzarri went on to play for former Eveleth High School great John Matchefts at Colorado College. Palazzari twice was named the WCHA’s MVP and still ranks third on the Tigers’ all-time career scoring list. He was inducted into the U.S. Hockey Hall of Fame in 2000.